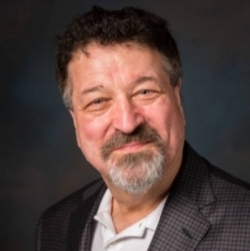 David Kaplan, 44-year home-technology veteran, receives CTA 2019 TechHome Leadership Award; challenges integrators to fight apathy and get involved; laments retail apocalypse. He’s an audio sales man not a Nobel prize winner, let’s try and keep some perspective please. David has poured his heart and soul into this industry and is very deserving of such an award. One of my all time favorite people in the industry, Congratulations David. This article is on a Consumer Electronics website and the award David is being given is in relation to this industry. So perhaps it is your perspective is off? Here’s a guy that really is here to serve. Thanks for everything, David! Well Deserved David! You’ve had the passion for a long time and mentored many of us along the way. Thanks for all you have done and will continue to do. I know you’re not done. And thanks for all the great moments in our heady and fun a/d/s/ days. Our annual Las Vegas tradition of dinner at Pamplemousse still brings back fond memories of a time with our mutual mentors; my boss, Dr. Godehard Guenther, founder of a/d/s/, and yours, Hall of famer Mr. Len Tweten. There couldn’t have been a better way to celebrate the specialty high end audio business they taught us so much about. I just watched the Hall of Fame speeches by Len and Jim from the 2013 CE awards ceremony. All I can say is; ’WOW’. Jim so clearly defined their customer centered attitude, and how to grow that into a magnificent business. And then Len stepped up to remind us; it was all about the music and a very focused group of brands that delivered a superior experience. His passion still showed and reminded me of what drove our business ‘back in the day’. You’re right, half of the battle is won if you just show up. I’ll add to that sentiment by suggesting if you show up and know your stuff when it comes to music and movies, then you’ll always have an opportunity to demonstrate what a superior experience premium products and system designs can deliver. If we do more of that we’ll see fewer plastic speakers and cheap TV’s in the worlds finer homes. And that will make them better places to live! If you google ‘Len Tweten’, the CE Youtube speech comes up. As Youtube wants to keep you engaged, after the CE video came a movie; Flawless with Michael Caine and Demi Moore. It’s by Magnolia Pictures and begins with Dave Brubeck’s Take 5. I think Len and GG were messing with me from specialty audio heaven! In 1995 Magnolia built a new HQ in Torrance. As “the guy in charge of Service” I was part of the management group that defined the requirements and kept track of construction. Initial planning meetings were well attended, but everyone above my level pretty much dropped out after the first few. That left me, the architect, a few other mid level managers, and Ginger – the executive assistant who was organizing the plans. One day I was in my new office (which was largely a skeleton of metal framing) and a construction supervisor came up to me, telling me he needed a decision on an office upstairs. I followed him up, to Dave’s future office. He told me they weren’t sure what the indication on the plans for soundproofing meant, they had installed some but were wondering if it was “extra” enough. I had one of their guys close the door and shout, with me outside, to test it.